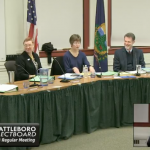 Are you interested in the safety of pedestrians and bicyclists in Brattleboro? Are you interested in road projects that relate to pedestrians and bicyclists? Come to the Safer Streets Forum in the Oak Grove School library on Thursday, September 27th from 5:30 -7:30 pm. Light snacks will be provided. 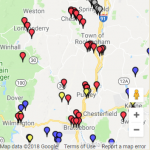 The Southeastern Vermont Watershed Alliance (SeVWA) continued its monitoring program for the summer of 2018 on Wednesday, July 18th. Volunteers will be collecting samples from 33 sites on nine rivers and streams every other week through the end of August. This year, we have sites on the West River, Flood Brook, North Branch Ball Mountain Brook, Rock River, Williams River (including the Middle Branch), Saxtons River, East Putney Brook, Sacketts Brook, and Whetstone Brook. SeVWA’s 2018 E. coli Monitoring of Local Rivers Started June 20th! 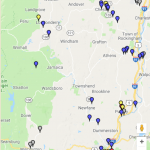 The Southeastern Vermont Watershed Alliance (SeVWA) started its monitoring program for the summer of 2018 on Wednesday, June 20th. Volunteers will be collecting samples from 33 sites on nine rivers and streams every other week through the end of August. This year, we have sites on the West River, Flood Brook, North Branch Ball Mountain Brook, Rock River, Williams River (including the Middle Branch), Saxtons River, East Putney Brook, Sacketts Brook, and Whetstone Brook. One of the parameters we test the water we collect for is Escherichia coli, more commonly known as E. coli. It is a bacterium that is found in the guts of all warm-blooded animals, including humans. Most E. coli will not make a person sick, but sometimes the bacteria can sometimes become pathogenic which means they can cause illness. Additionally, the presence of E. coli in waters acts as an indicator for the presence of other, more difficult to test for pathogens that may cause waterborne illnesses to those swimming, wading, or boating. 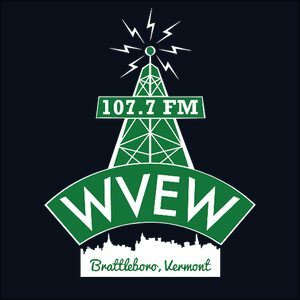 We publish our results to the public in order to help everyone make informed decisions about recreating in Vermont’s waters.